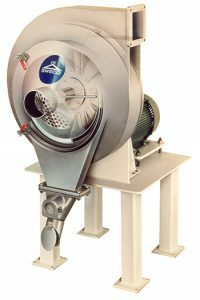 SWECO’s Turbo-Screen Air Classifier provides continuous, precise screening of dry materials, especially in the finer particle sizes. Uses screen sizes from 200-400 mesh for efficient separation of particles ranging from 850-70 microns. Handles the most difficult materials, including electrostatic materials and particles that tend to agglomerate easily.